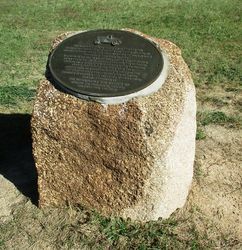 A monument commemorates 10 years of the Leyburn Sprints which are held every year to celebrate Queensland's first hosting of the Australian Grand Prix in September 1949. 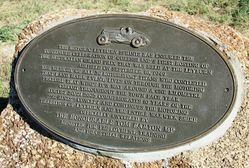 The historic Leyburn Sprints has ensured that the continued celebration of Queensland's first hosting of the Australian Grand Prix that was held at the Leyburn Airfield on September 18,1949. 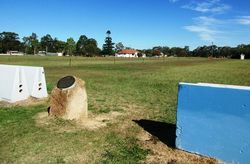 The memory of all 30 motorsport titans who contested that land mark event, lives on through the motoring feature that winds it`s way around a one kilometre circuit throughout the town each year.